Wowee – as I write this blog, we are almost into 2015. I actually celebrated New Year at the Solstice so feel as if I am getting an extra special chance here to renew my pledges to myself all over again – lucky me! And I get a chance to express this to you all too. All the beautiful souls in my own mentoring group who hold me up when I doubt who I am and who inspire me each day to keep believing in my visions and that (and especially) even when your team is something as “intangible” as the nature kingdom, it is totally possible to build a thriving business! Thank you Bernadette and all the beautiful Rising Stars! The sylphs – the air elementals that carried me safely to Ireland. Having been terrified of flying for many years (which incidentally didn’t stop me) – I heard the whisper of the sylphs to trust and to allow them to carry me in the air. It is such a relief and so very magical to allow this through my cells. The elementals that grace my garden space and allow me to make MoonFlower Essences. Many of the MoonFlowers are made in other “spaces” yet this garden holds me and the magic that flows through me and inspires all I do. 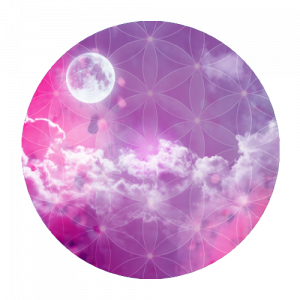 And of course I need to include the moon – who woke me up to who I truly am over 15 years ago, who informs all my essences and whose cycles guides both my personal and professional life. I did not know all those years ago when I made my first (ever) essence in moonlight that you would lead me to this moment – thank you moon! The Practitioner Diploma in Flower and Vibrational Medicine has grown beyond what I dreamt was possible 5 years ago. Thank you to the lovely souls who have come on board and who have graduated and are in the process of going through the Diploma. You have allowed my vision to come to life – thank you so much! The world is a much better place with all of you sharing the beauty and potential of this “work” – you are so needed! Create a Magical Business was founded this year to support women who have big visions and who wish to learn ways of merging their heart-centred gifts with practical action that can take their own work into the world. I am massively grateful to those who have joined me so far and I am loving the magic that is happening to those who are taking part…. 2014 was also the year of Manifesting with the Moon launching and running 4 times – I loved, loved, loved holding space for these 29 day retreats. My favourite moment has been women from all around the world sharing photos of the moon taken from their skies – pure magic to my heart. I graduated as a Certified Sacred Money Archetype Coach with Kendall Summerhawk – what a journey that was and marked a real turning point in how I see myself and what shifts I needed to make to allow my own vision to grow. Thank you to all those of you who have taken part in the Sacred Money Archetype work – it changes lives for sure and began with changing mine! I became the Chair of the British Flower and Vibrational Medicine Association. I am still reeling from the shock of being asked and the privilege of leading such an organisation in this way. Yet I also feel much responsibility to use what I know to allow as many people as possible to benefit from the healing power of the nature kingdom. My beloved Tai Chi classes – so much “new” has come into my life this year that I also needed to let go. After all to allow the new in, we have to make space. So I said goodbye to my 3 Tai Chi Classes and the lovely students I had taught for over 5 years. I miss you all yet I am also happy to know you have a new teacher who can now take care of you for 2015. This latest letting go has meant that Essentially Flowers, MoonFlower Essences and Create a Magical Business now totally supports us as a family – I had no idea that this was possible as a Flower Essence Practitioner 5 years ago and share this as inspiration to believe in what you do. This is a tough one as I take essences every single day and have done for many years. They are totally part of everything I am. I ended up choosing two and I do believe they are the essences I took the most this year. The first is the MoonFlower Nurturer Combination – Nurturer is my top Archetype in the Sacred Money Archetypes and combines Apple, Pink Yarrow, Larimar, Willow and Forget Me Not. She has taught me that in order to help others, I first need to empower myself. This has been a tough lesson for me – and an ongoing process – yet it is the message that I return to again and again whenever I need to take a decision – I ask “What empowers me”? And I know and trust that what empowers me will also empower others…. Gold – Gold was gifted to me by Willow. Willow chose me to work with when I attended Pam Montgomery’s Plant Communication workshop in London this year and through a long chat I had with her, culminating in a merging of our spirits – she gifted me with the message of Gold and knowing my true value. Thank you Willow and Gold! Gold was also THE most purchased MoonFlower Essence in 2014 – how amazing is that! 2015 for me is the year to make dreams happen and to deeply walk the path of the heart.